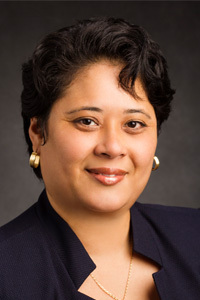 Adrienne Dixson, professor in Education Policy, Organization & Leadership, is a faculty expert on how issues of race, class, and gender intersect and impact educational equity in urban schooling contexts. Currently based in the New Orleans area, she is especially interested in how educational equity is mediated by school reform policies in the urban south—specifically, in post-Katrina New Orleans, where all public schools in the city are now charter schools. What are your latest research developments or conclusions related to charter schools in New Orleans, or trends, nationally? The reforms here have been incredibly divisive across a number of domains, particularly as it relates to the working environment for teachers and the relationships that charter school administrators have with the community writ large. The hostility between groups is similar in cities (i.e., Detroit, MI; Camden, NJ; and Newark, NJ) that have attempted to implement “New Orleans style" education reforms. What was the purpose of this Town Hall meeting? A coalition of groups in Louisiana wanted to provide a forum for teachers, students, and community members to dialogue with elected officials about public education. The Governor of Louisiana is up for re-election, as are a number of state legislators, school board members, and members of the state board of education. This forum was organized so that those individuals could hear directly from teachers, students, and parents about what those groups think are important issues that pertain to public education. What are outcomes, or potential outcomes of this Town Hall meeting? Teachers and parents expressed an interest in attending the other Town Halls that are scheduled throughout April in other cities in Louisiana. The events have tended to draw state legislators who represent each city. A number of teachers and parents want to impress upon legislators and school board members that their concerns are not just local to their city, but are important for the entire state of Louisiana.